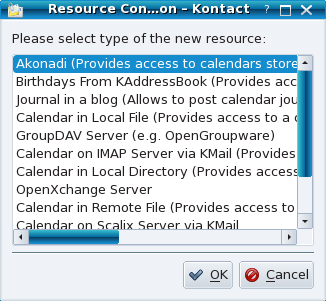 However I note that when you set up the goople calendar option in Akonadi, it automatically appends your username with @gmail. My google calendar username is not a gmail account. How cann I get round this. My google account is at googlmail.com, but it seemed to work. Don't you register a gmail/goolemail account, and then set it up so you can use a different address. The original gmail/googlemail address is still valid if you can remember what it is? 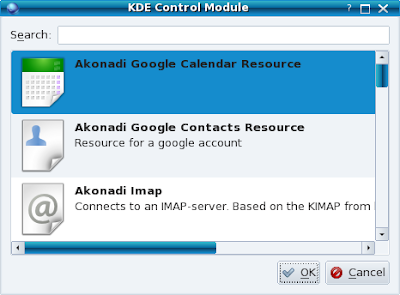 My google calender changes are synced to kontact but my kontact calender changes are not added to the google calendar. It's one way. Any idea what is wrong?